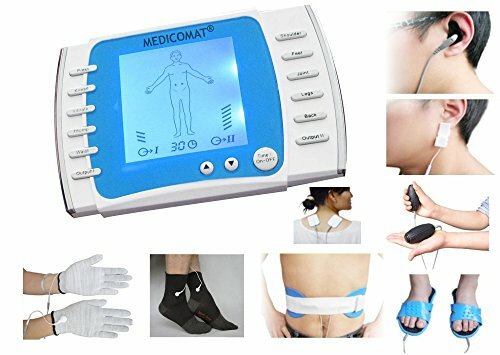 Medicomat® Medical Automat Series * THE WORLD'S BEST HEALTHCARE APPARATUS * Hand Foot Auricular Treatment Acupuncture * Fully Automatic Treatment at Home - Auto-selection of acupuncture points on the ear, hand, foot and SPA. Unique silver fiber conductive socks and gloves exclusive for acupuncture massage therapy. Beauty and facial rejuvenation and weight loss electrodes treatment: wrinkles, pimples, acne, freckles, eye bags and black eye ring etc.